Ross’ technicians are trained to identify and treat insect and disease issues related to your ornamentals. Whether its bagworms, aphids, mold, or fungus, our treatments are based on sound principles and techniques. Pesticide application is not always the answer, but when it is, it will be targeted to a specific issue. If pesticides are of no benefit to your ornamentals, then Ross will recommend various cultural or mechanical controls to alleviate the problem. 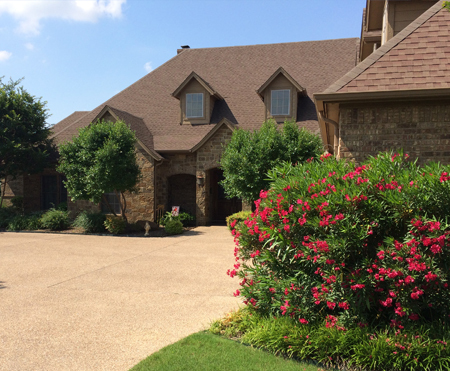 We may even recommend an alternative type of ornamental that is more tolerant of the Texas environment. One application of Topchoice® lawn and landscape. Monthly monitoring and up to six treatments of the lawn with post-emergent herbicides to control growing weeds.